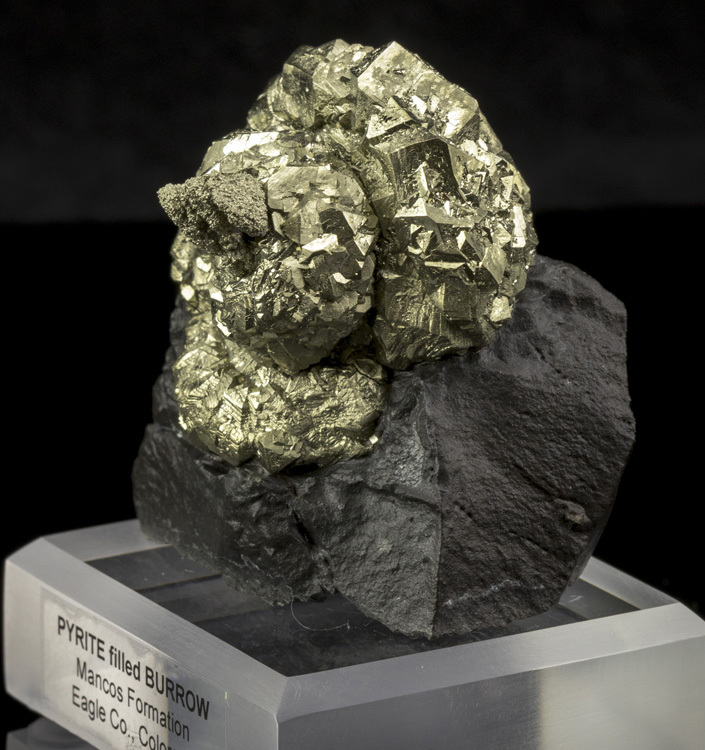 This is both a mineral specimen and a fossil, and it's the best of its kind that we have ever seen! 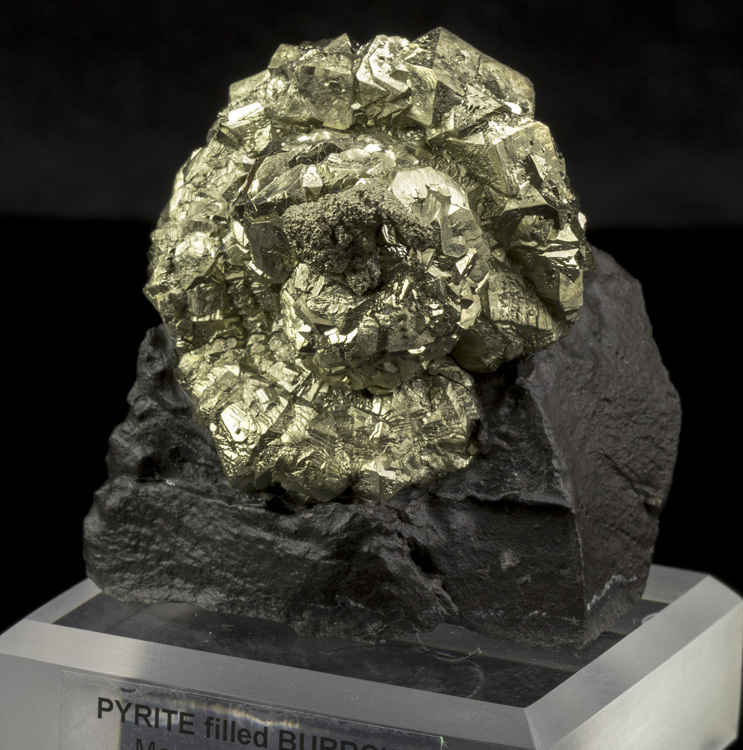 ~70 million years ago a Cretacous sea creatre created a spiral burrow in the ocean floor. 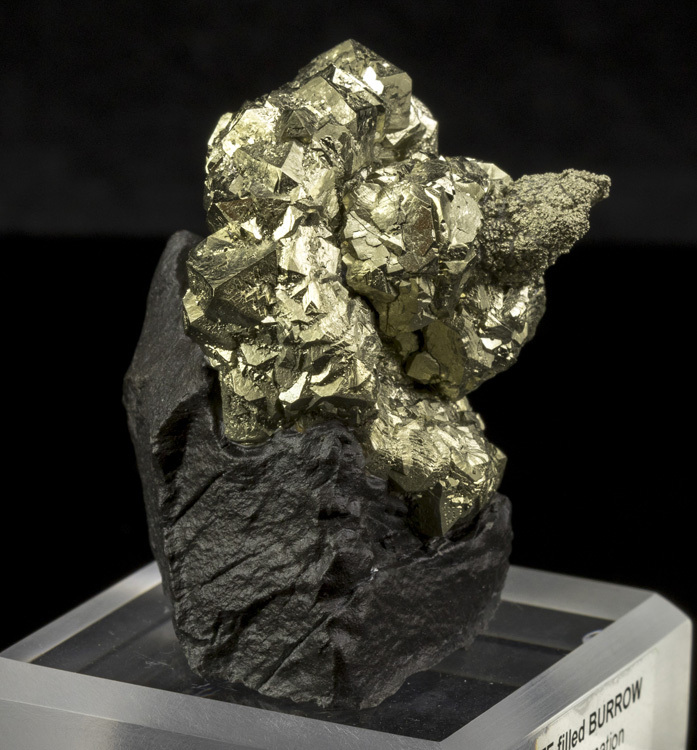 Somehow that cavity became fossilized, but instead of turning to regular rock it became filled with crystallized pyrite. 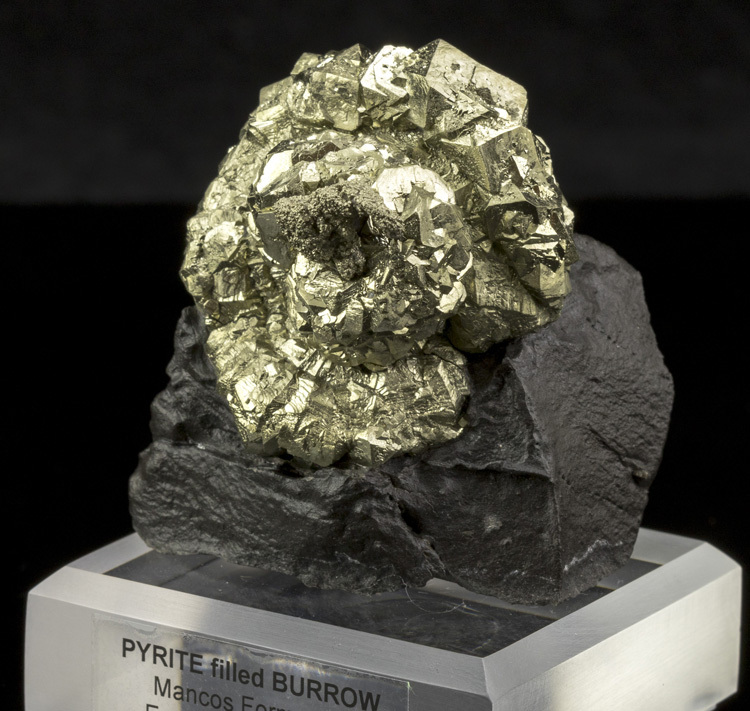 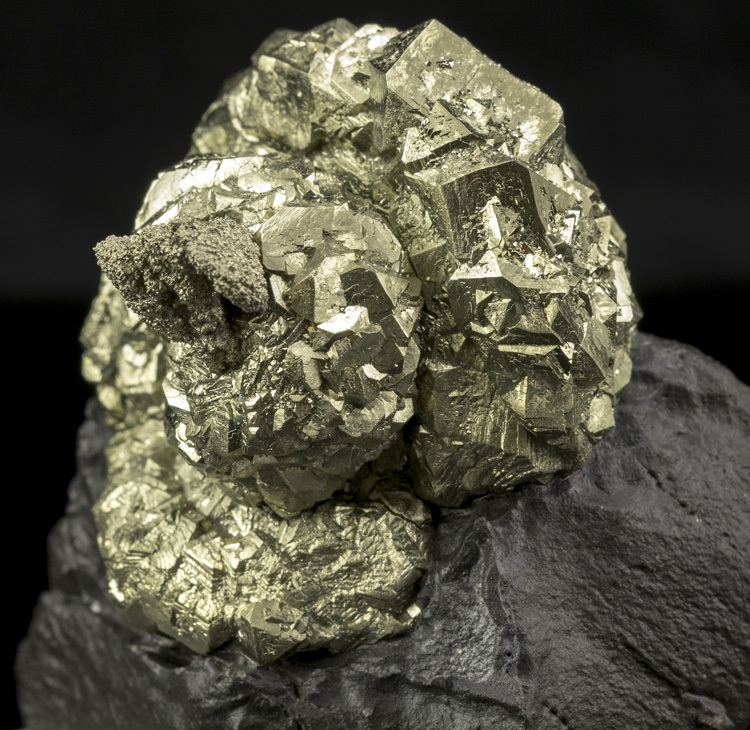 Despite the cubic pyrite crystal growth the original spiral form of the burrow held its shape, and it is still clearly visible in this specimen. 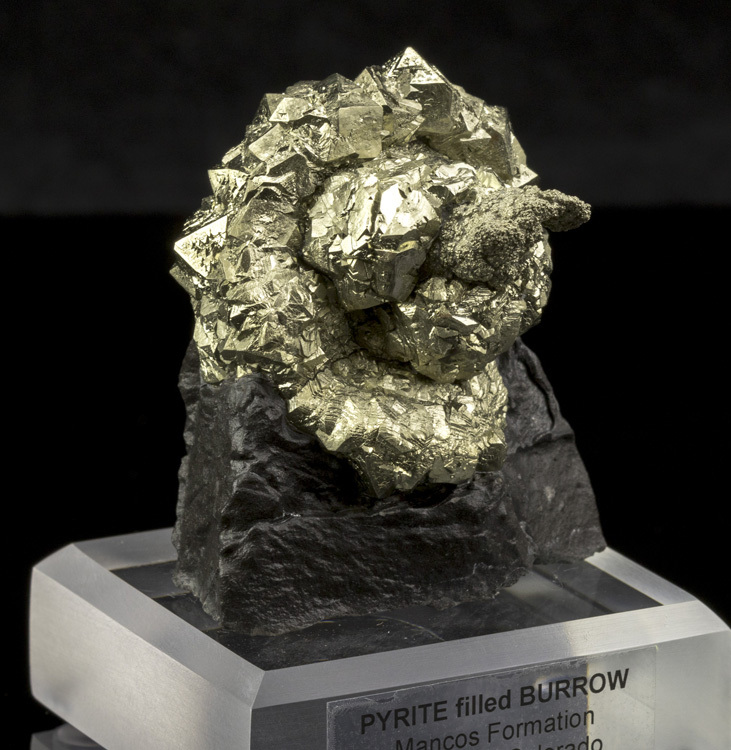 Most pyritized burrows from this area are simple straight corridors with pencil-like pyrite formations. 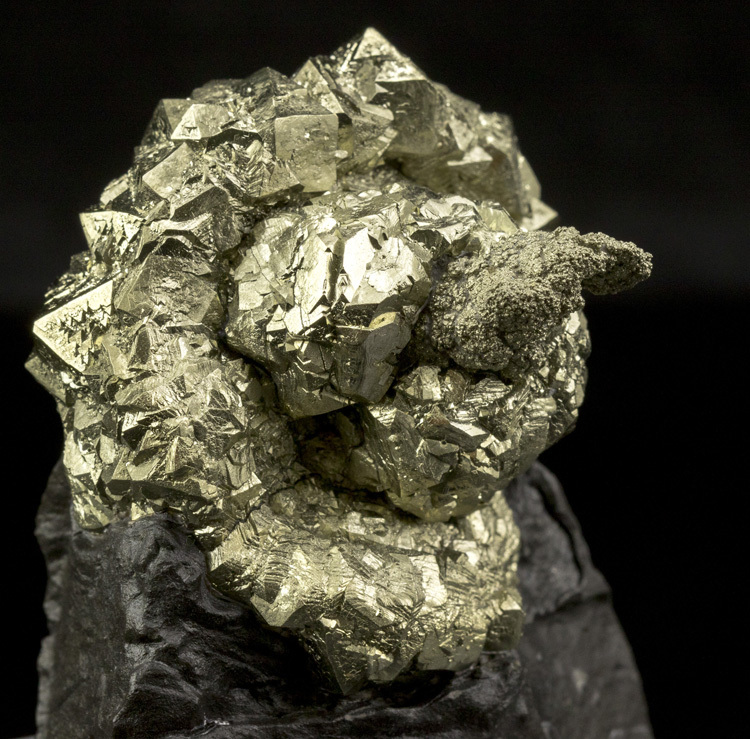 This is the only spiral one we have ever seen. 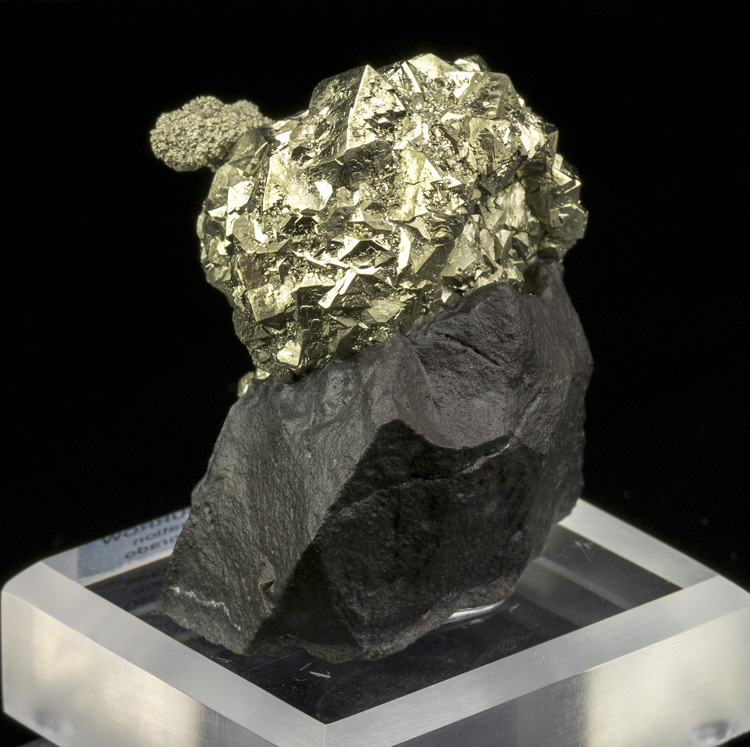 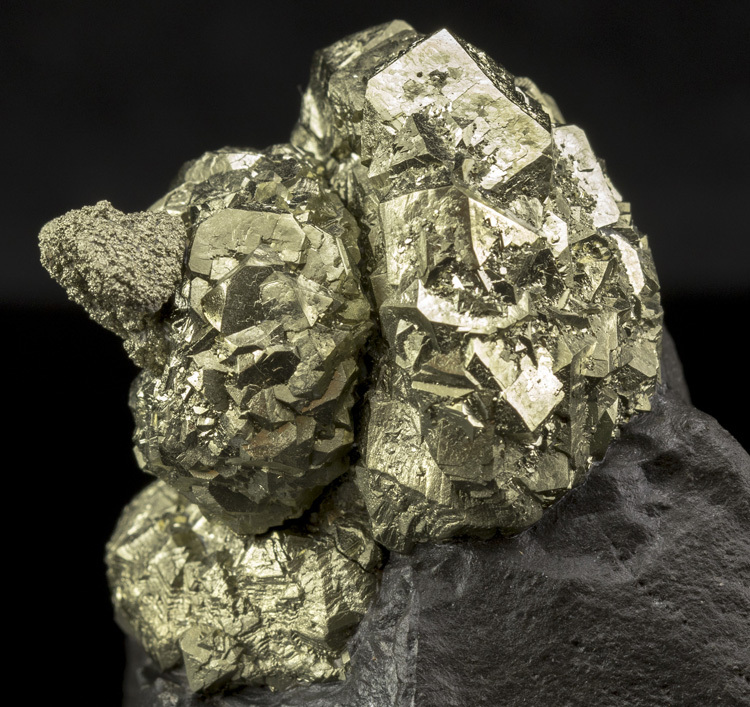 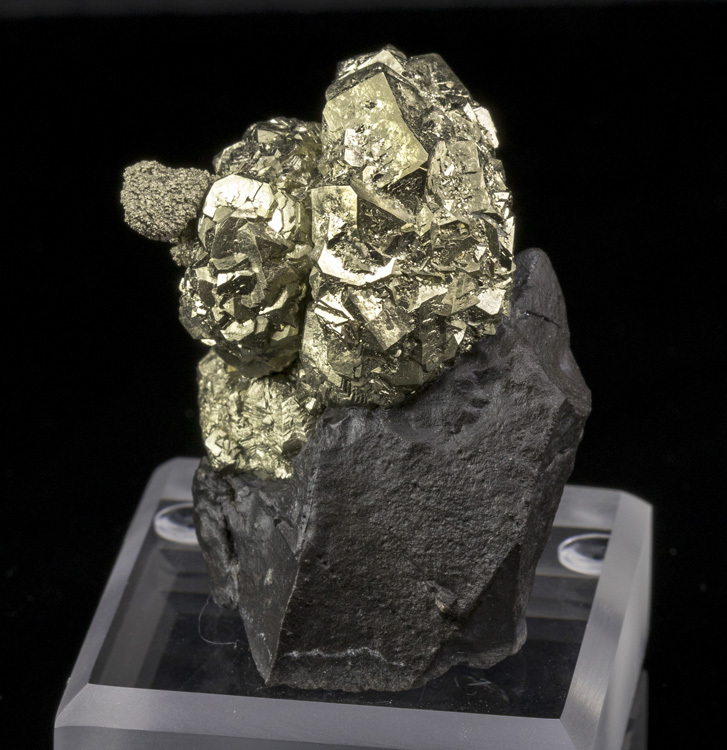 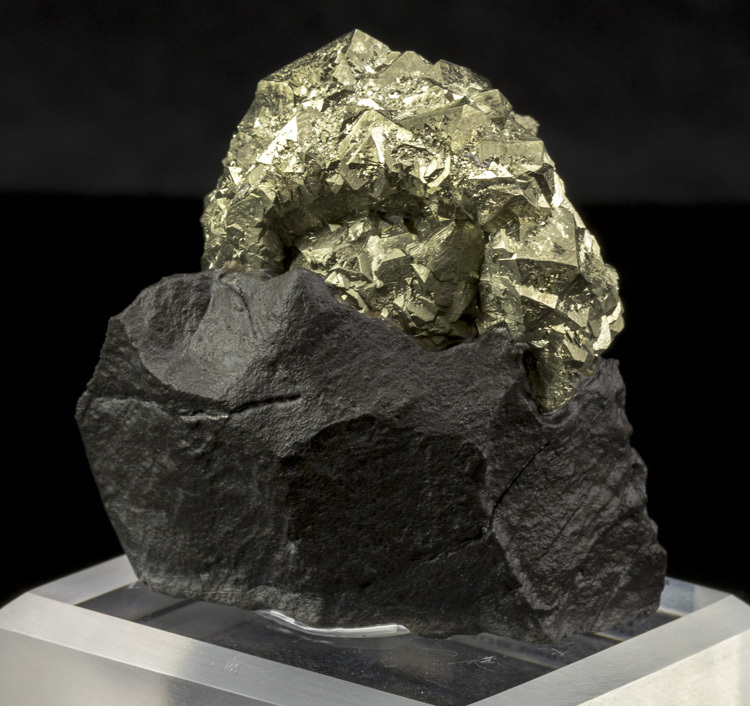 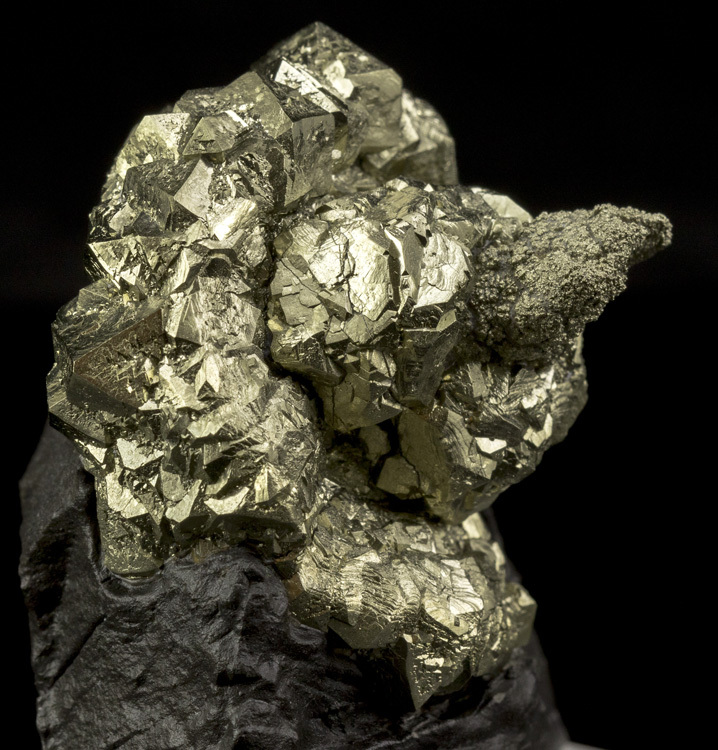 The pyrite has fantastic luster and is still attached to the black matrix rock in which it was found, thus providing excellent contrast.